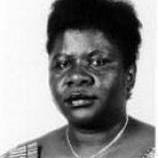 First woman to hold the position of Prime Minister in Mozambique. Originally from the center of the country, Luisa Dias Diogo, is the mother of three children. Diogo studied economics at Maputo's Eduardo Mondlane University. She graduated with a bachelor's degree in 1983. She went on to obtain a master's degree in financial economics at the School of Oriental and African Studies, University of London in 1992.